Lars is a member of Google&apos;s technical staff, based in the Sydney office, and with his brother Jens, co-founded what eventually became Google Maps. 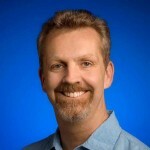 He is currently driving the development of Google Wave. In 2010 is it still the Next Big Thing? Let&apos;s see what Lars has to say … about that and other things.